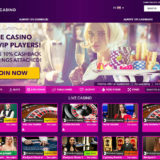 Bonus: First deposit 100% match up to £200. 25 x wagering requirements, with 100% contribution for Roulette and 20% for all other games. Second deposit 50% match up to £300. 25 x wagering requirements, with 100% contribution for Roulette and 20% for all other games. Third deposit 50% match up to £500. 25 x wagering requirements, with 100% contribution for Roulette and 20% for all other games. Now has three Live casinos! 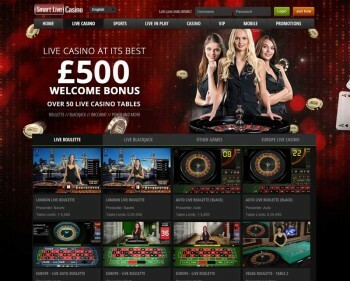 8th August 2016 – Smart Live Casino closed it’s doors for the last time following an investigation into it’s operations by the UK Gambling Commission. UKGC Suspends Smartlive Gamings Licence while they investigate whether Smartlive are capable of performing to the terms of the licence. Following the investiagtion SmartLive Casino have shut their website down and have ceased trading. 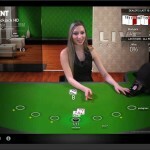 If you’re looking for an alternative, then I recommend Leo Vegas who have all the capabilities and more of SmartLive. 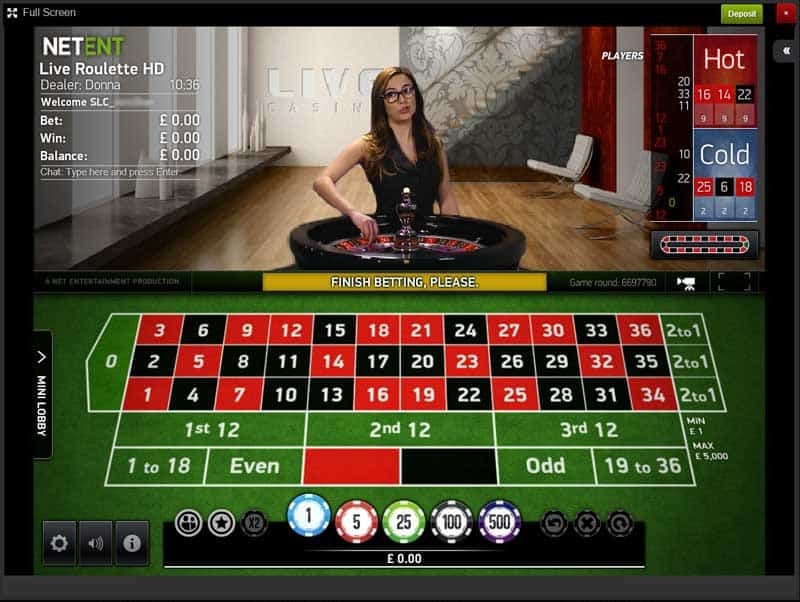 Smart Live Casino is part of the Smart Live Gaming Group that also has a Sports Book, in Play Betting and Online and Mobile Casinos. They are registered in the UK and their head office is in London. 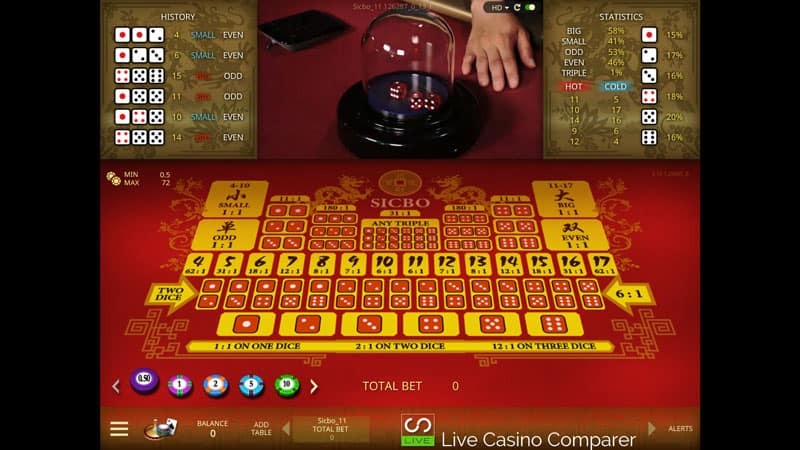 I think that Smart Live have a really unique live casino offering. 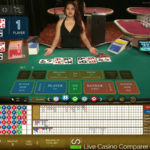 I’ve been playing blackjack there since early 2013, but I’ve been hesitant about putting a review up because I had read some negative comments in some of the player forums about slow payments and uncommunicative customer support. My experiences have not echoed these 18 month old complaints, so I wanted to be absolutely sure about things before I recommended anyone to play there. I was fortunate to bump into the Head of Marketing at the Casino Trade Conference, ICE, in February 2014. As part of our discussion I explained my concerns and he reassured me that a lot of changes had been implemented over the past 18 months to resolve them. 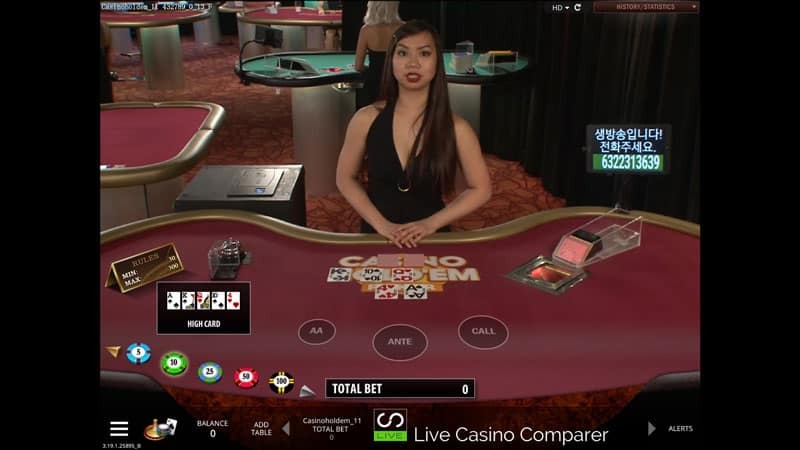 At the same time I was invited to meet up with the people at the Smart Live Casino and visit the studios where the TV and Live Streaming is broadcast. I have to say that I wasn’t going to pass up such an opportunity and gladly accepted the invitation. 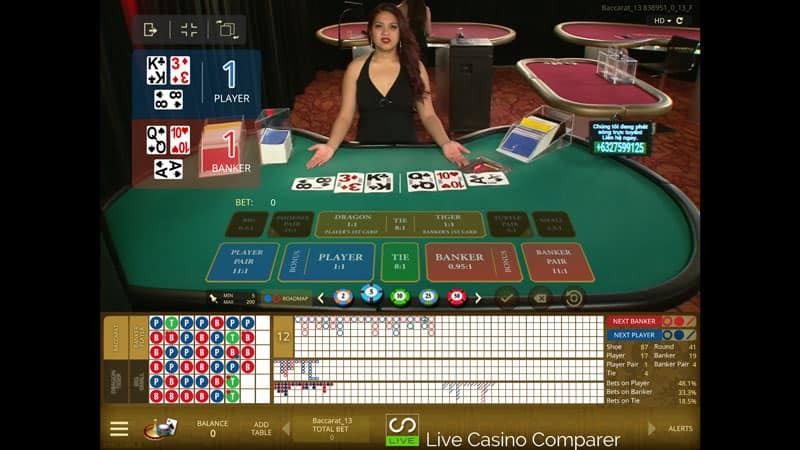 I’m glad I did because I now have a much better understanding of the live casino setup and it was not quite what I was expecting!. 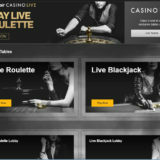 As I mentioned before I think that Smart Live Casino have a really unique selling point. They provide a very personal service to their customers. When you’re at the tables it’s like being in a real casino. The dealer is very close and personable. You don’t get the feeling of being in a huge casino like some of the other live casinos I’ve reviewed and I like that. It’s a relaxed setting and the operation is small enough for the dealers to know who you are and what previous conversations you’ve had with them. 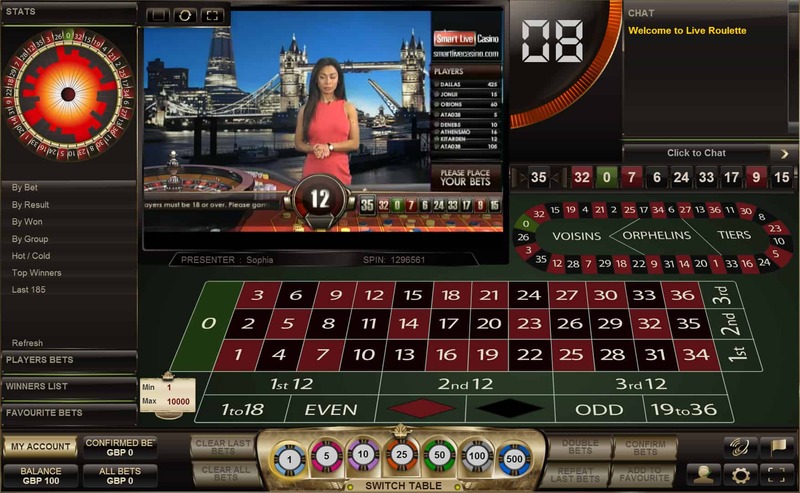 The streaming is good and clear and if you are playing live roulette the stream is very TV like, this may have something to do with Smart Live having their own TV channel on Sky for a few years. 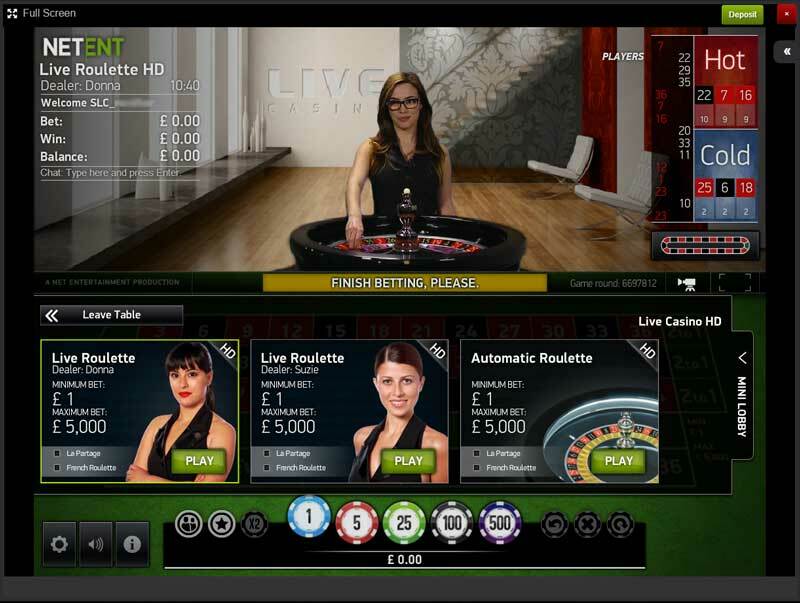 In November 2014 SmartLive enhanced their live casino offering by adding Microgaming’s live casino games and Net Entertainments Live Roulette and Live Blackjack to their product offering. 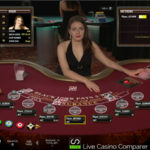 This means they provide 3 options where you can play depending on your personal preferences, their flagship casino at their own London studios, Net Entertainments studios in Malta that have the option of La Partage on roulette or the games at Microgamings studios from Canada. 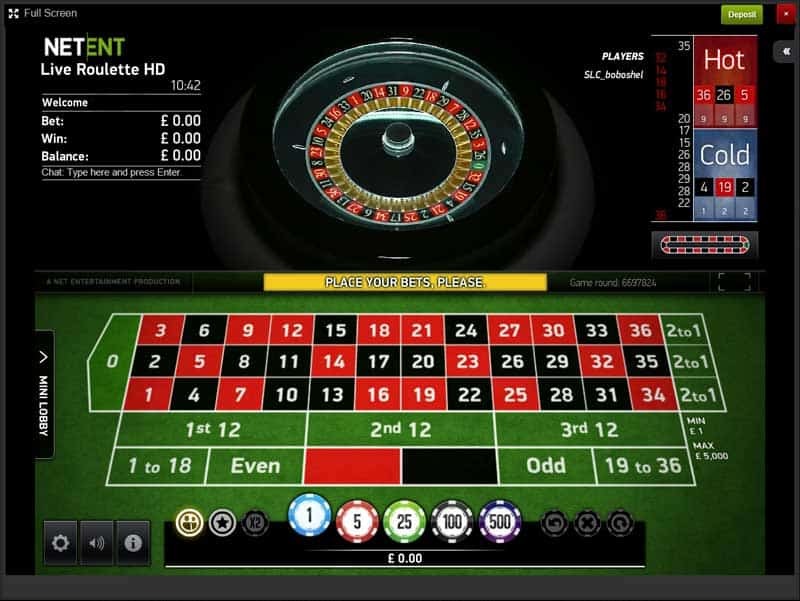 Currently three games are being offered, Live Roulette, Live Blackjack and Live Automatic Roulette and these are available as English and Japanese speaking tables depending on the time of day you visit the site. 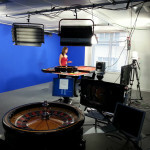 The Live Casino is based in the offices of Smart Live Gaming in Holborn, London. 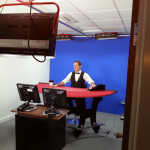 The live casino is actually a number of small offices off the main office area. 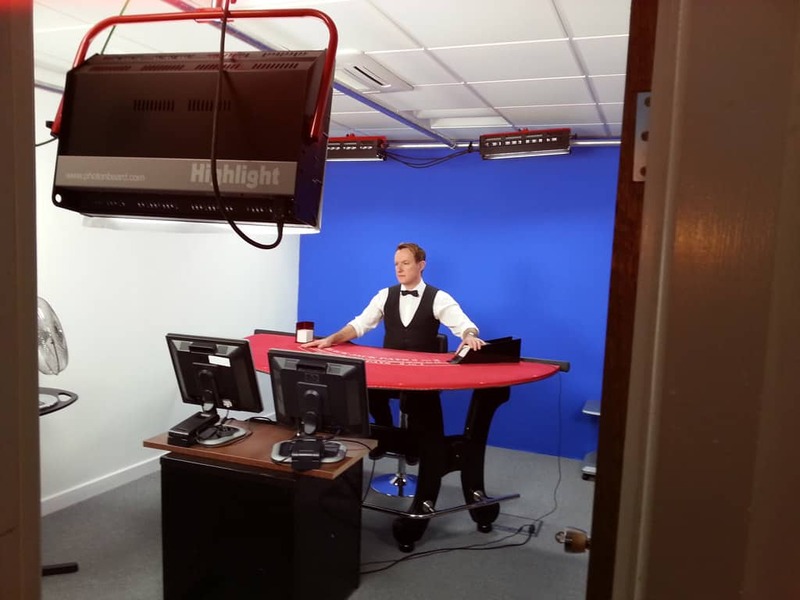 Each office has been setup as a studio, one for Roulette, one for Blackjack (with two tables) and one for the Live Automatic Roulette, which is in an un-manned and locked room. 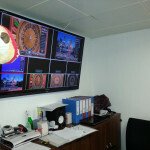 The dealer is generally the only person in the studio, everything else is run from a central control room, where the games and dealers are monitored on a 24 x 7 basis. Playing Images – What we see! 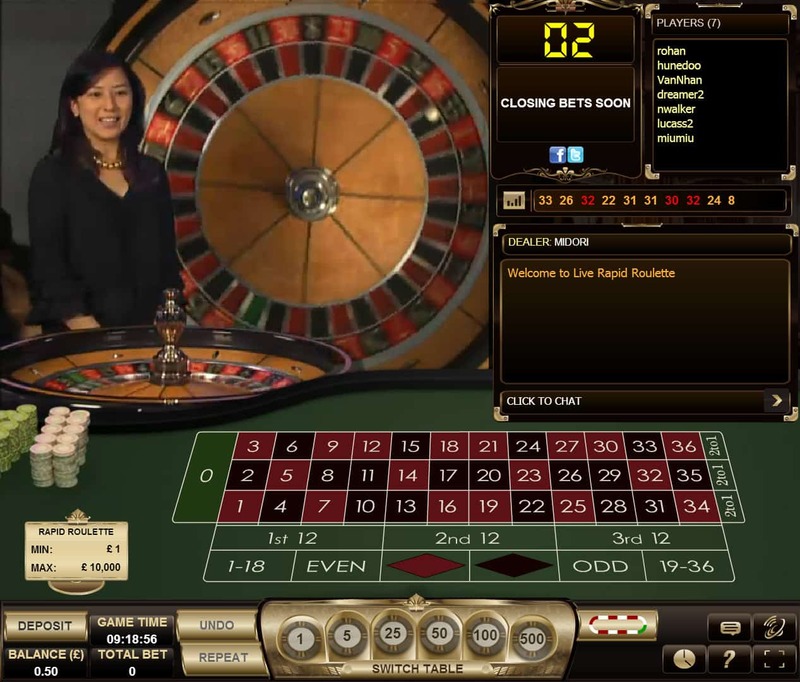 The Live Roulette is available between 09:00 – 06:00 GMT. 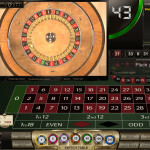 Automatic Roulette is available 24 x 7. 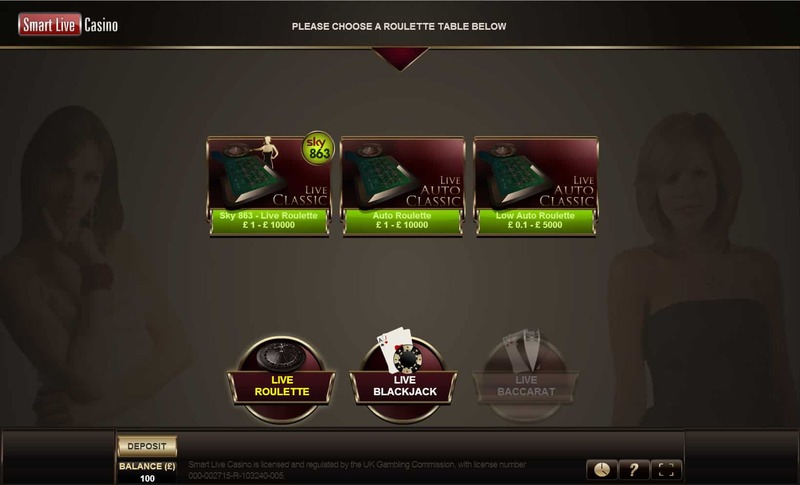 The Blackjack tables are operational from 11:00am until 03:00am GMT. 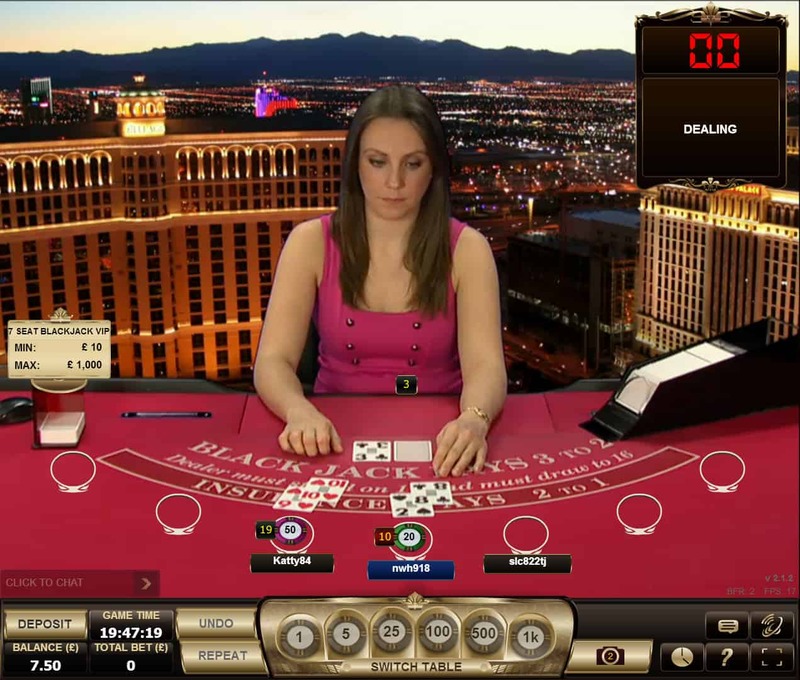 Japanese Rapid Roulette and Blackjack are both provided and are streamed during the morning GMT. 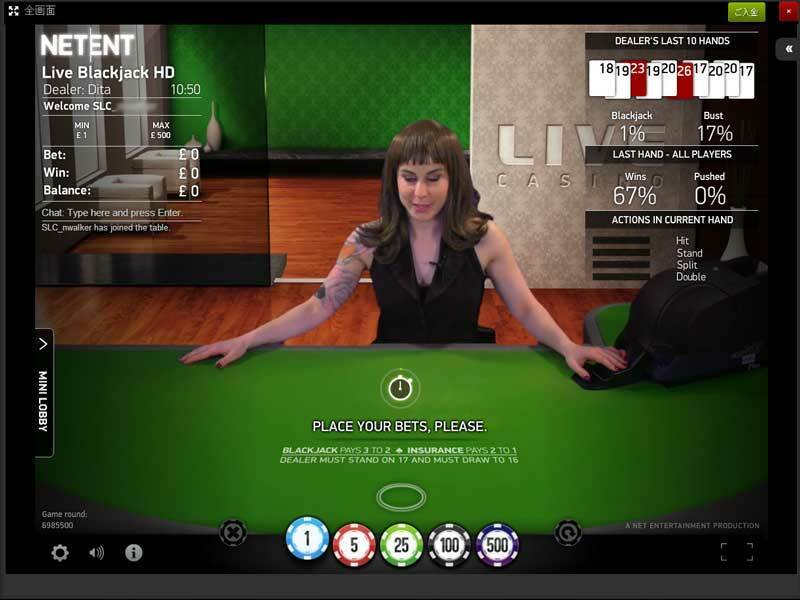 These tables make a great change to play at, as the dealers are far more animated than their UK counterparts. Just wait until you draw a Blackjack! The dealers are all London based and work 8 hour shifts, 30 minutes on, 30 minutes off. 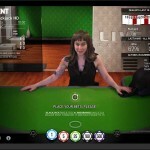 If you’re playing blackjack you can talk to them in real time chat, but this is not available on Roulette. You can however ask them questions via email and they will answer through the online streaming. You will find that most of the dealers are also budding actors and actresses so it’s not unusual to hear about the their auditions and the TV shows they are in. 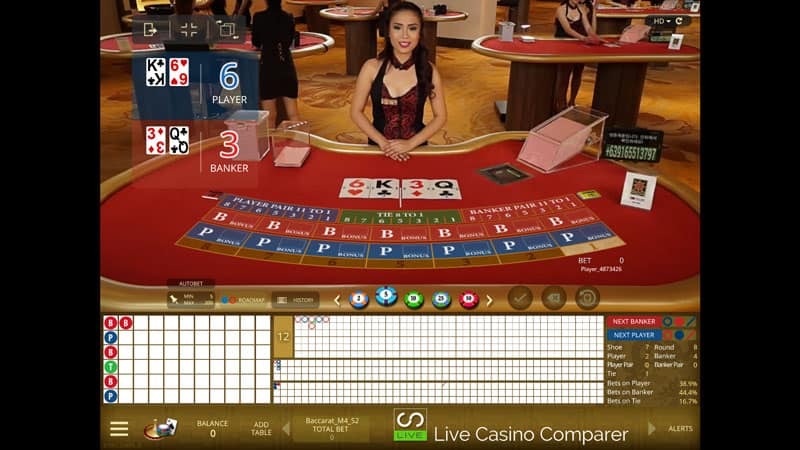 The Video below will give you a good flavour of what to expect when you play at Smartlive casino. As you’ll see it’s friendly and fairly slow paced so you can take your time. If you’re in any doubt just use the chat to ask the dealers. 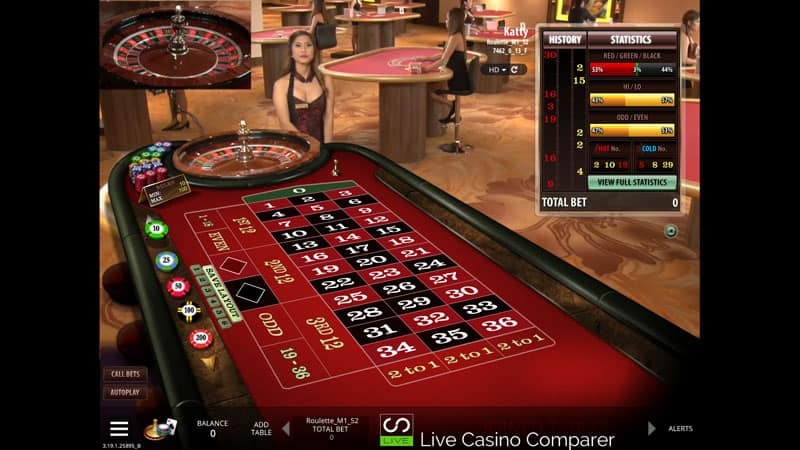 The software is Smart Live Gamings rather than being provided by Evolution or one of the other live casino software providers. I like the playing interface, it’s simple and has everything on display that you need. There are two displays to choose from, full screen and mixed where you get a computer generated image that overlays the live stream. The betting interface is again very simple. The other thing I like is that you can deposit and withdraw without having to leave the table. 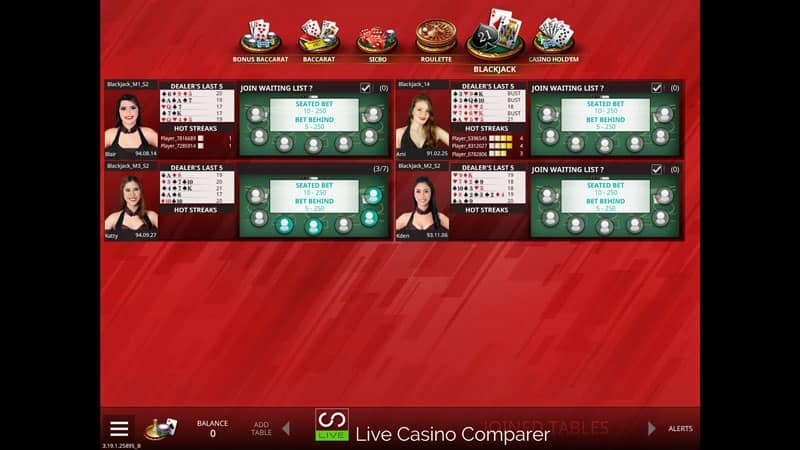 Five games are available from Microgamings Canadian Live Casino Studio. 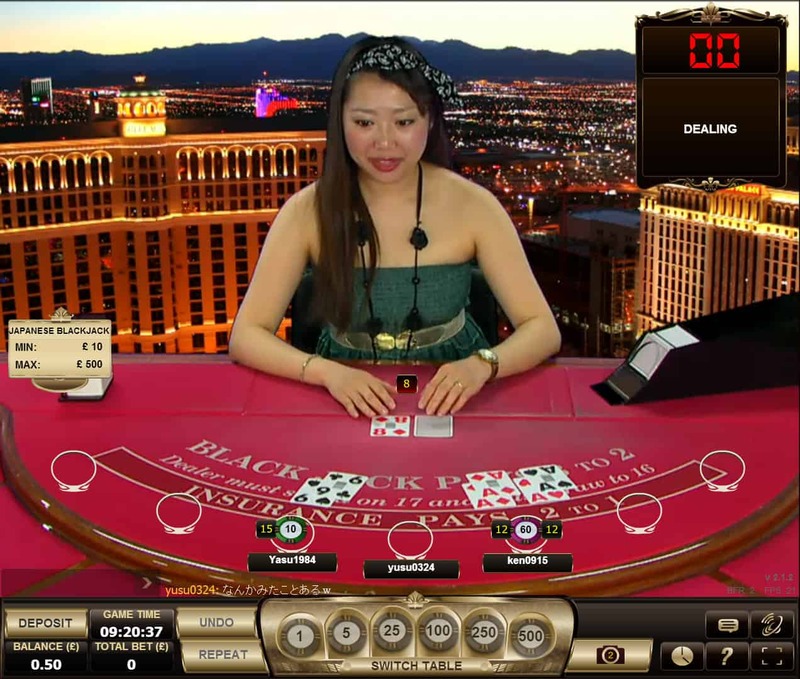 Live 7 Seat Blackjack, Live Roulette, Live Baccarat, Live Casino Holdem & Sic Bo. 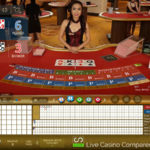 English is the spoken table language, but as you will see the dealers are not as chatty as the ones at Smartlive’s own casino. 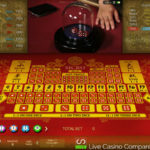 The Microgaming solution is very good, especially of you like to play Roulette and Baccarat. The Blackjack game is OK, but lets itself down by not having side bets, although you can Bet Behind if you don’t have a seat. It employs European rules, so the dealer only takes one card and, rather annoyingly cards are burnt at the beginning of each hand. It won’t take you long to notice the size of the playing cards if you’re playing one of the card games. They are huge! It makes it easier to see the cards but it does look a bit strange. 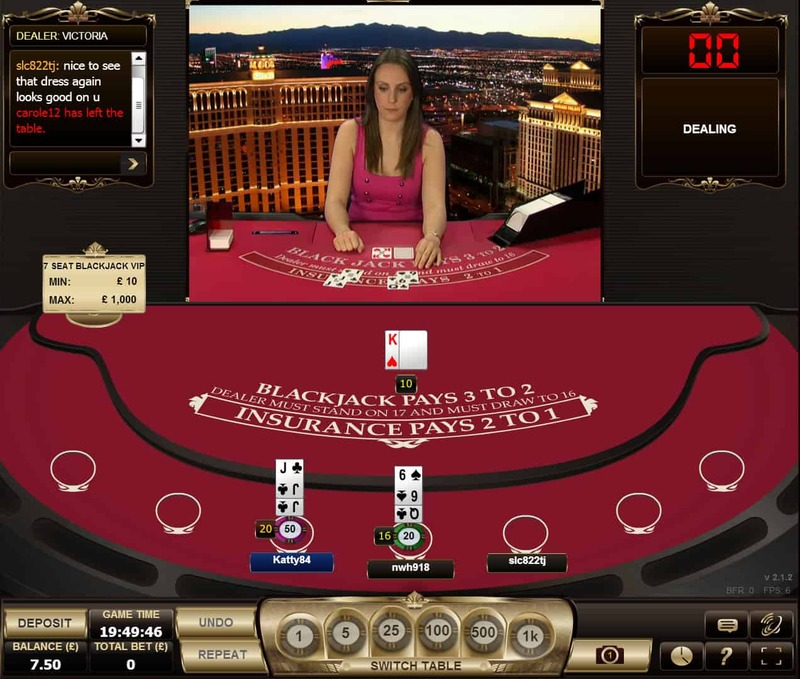 The software interface is easy to use and you have the option of two different playing modes. Full Screen or mixed mode. It’s a case of personal preference, so try them both out to see what you think. 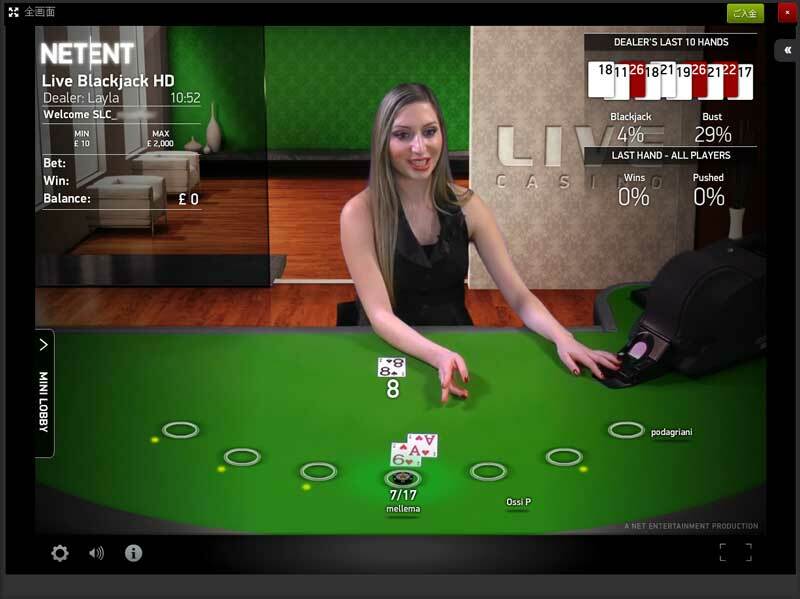 You can chat with the dealers, but on the whole, of all the live casinos I’ve played at I find the dealers at Microgaming to be the least communicative. That’s OK if you want a quiet game though.! 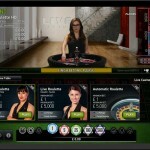 Stake options are low compared to say BetVictor, but that’s not a problem as you can switch to the Smartlive’s own casino for higher stakes and a more personal experience. 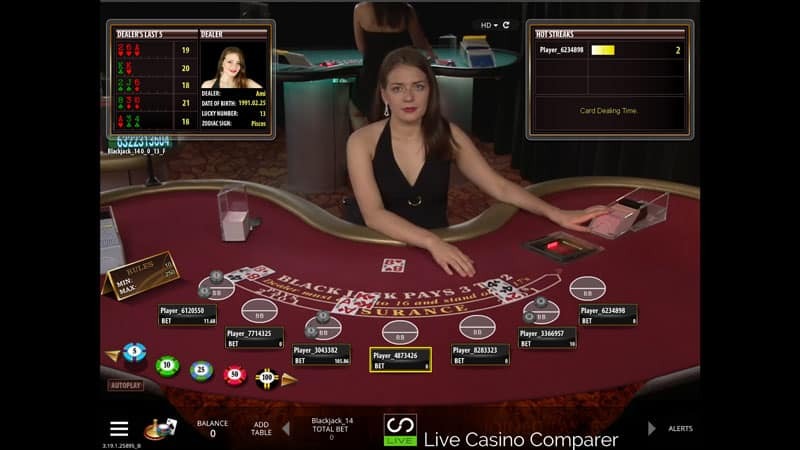 Smartlive have taken Roulette and Blackjack from Net Entertainment and rather than just settle for one table of each they have chosen to take all of the community tables, which gives a much greater range of betting options. 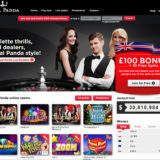 There are 3 Roulette tables, each offer La Partage and French layouts, lthough the minimum bet goes up to £2 when it’s selected. 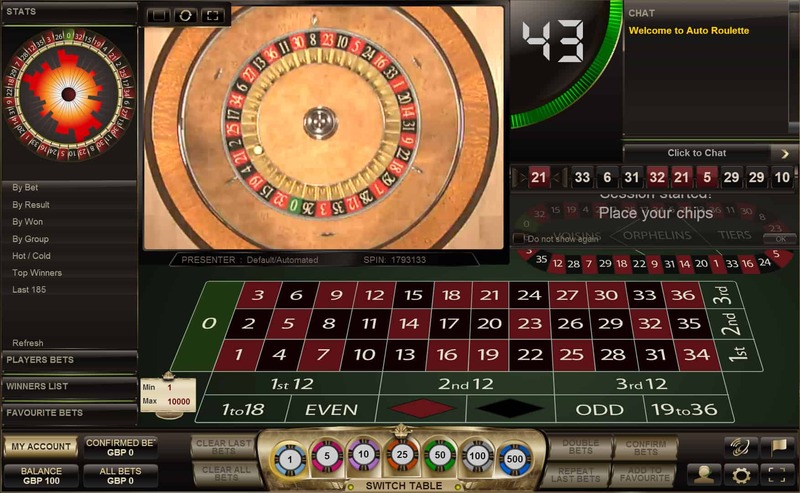 There is also one Automatic Roulette table. There are 5 Blackjack tables, 2 of which are the common draw version with stakes that start as low as £1 a hand. There are a variety of banking options available, from credit cards, e-wallets and Ukash vouchers. Withdrawals are normally processed back to the deposit method. First deposit 100% match up to £200. 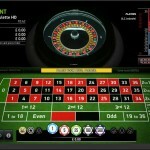 25 x wagering requirements, with 100% contribution for Roulette and 20% for all other games. 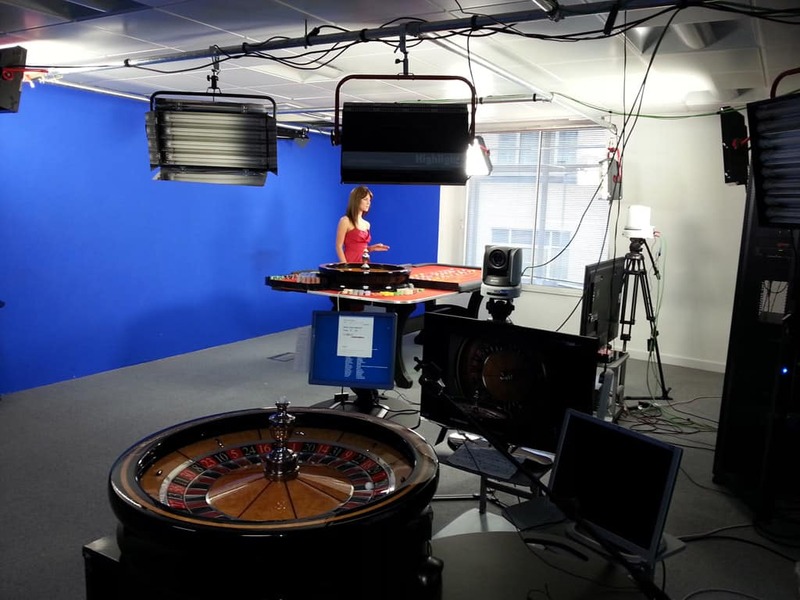 I really like the Smart Live Casino and my visit to their studio in London showed me how open they were to being examined and critiqued, especially when they knew I was going to write about them. 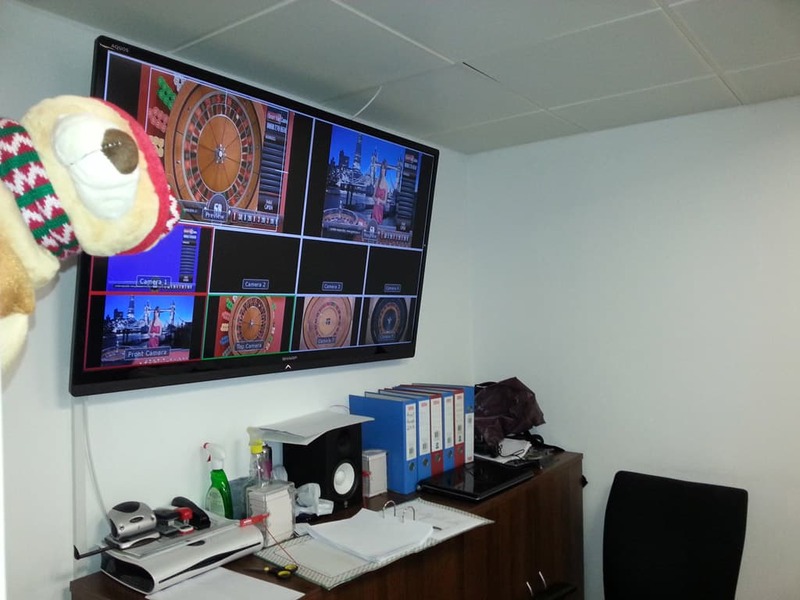 I count this as a bit of a coo for Live Casino Comparer! The playing experience is a personal one, the dealers know who you are if you’re a regular and you can build a really good rapport with them. I would describe it like being in your own exclusive club. They treat VIP’s well and really make an effort to make everyone’s experience the best they can. Only down side is that they currently only offer Blackjack and Roulette at their in house Casino. 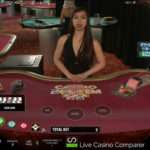 The good news is that Baccarat is available at the newly added Microgaming live casino, so this gives more choice and an alternative place to play if you fancy a change. 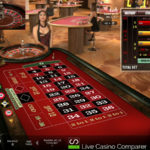 If you’re looking for something a bit different that gives you a more personal service then I would thoroughly recommend Smart Live Casino to you.